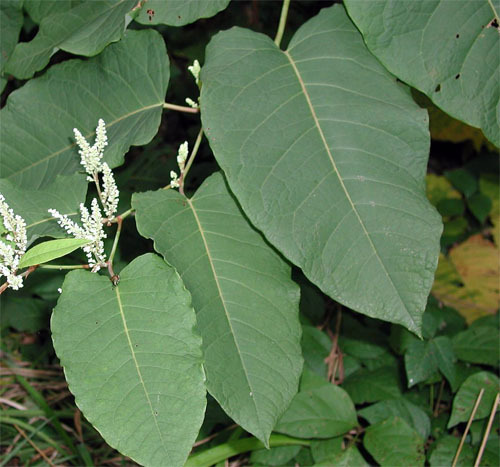 Giant knotweed is native to northern Japan. It was introduced into North America as an ornamental due to its size and white flower clusters. 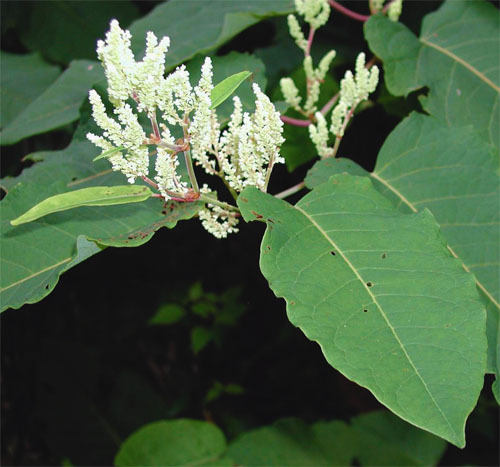 Giant knotweed has small white flowers that are 3-5 mm wide and are clustered together in showy often upright sprays along the branches. 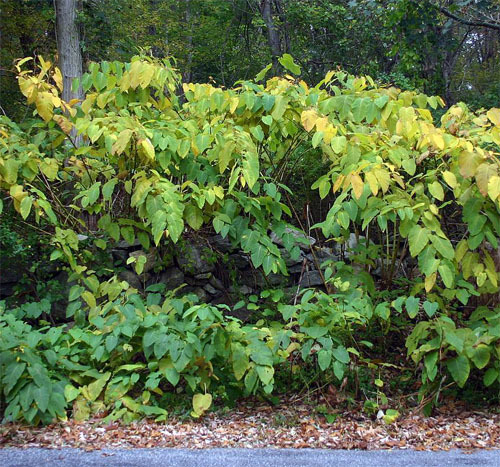 The large leaves are heart-shaped and grow up to 45 cm long and 40 cm wide. 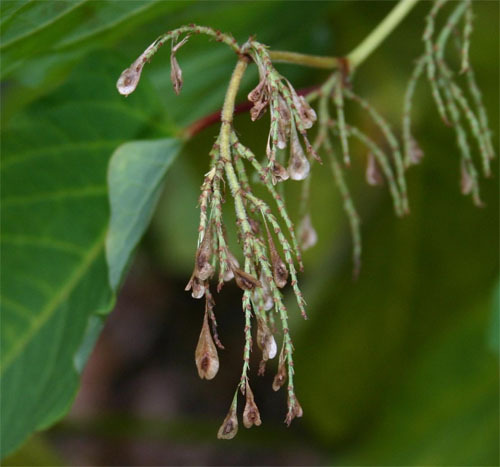 The undersides of leaves are covered in soft, 0.2-0.6 mm long hairs. The stems are round and hollow and grow up to 4 m tall.